Sarah Crichton Books, 9780374298791, 352pp. MAYBE THE CONSPIRACY THEORISTS ARE ONTO SOMETHING. What if fluoride is a sinister plot to alter our minds? What if there’s an extensive network of tunnels running under the United States? And what really happened to Malaysia Airlines Flight 370? In The Man from Primrose Lane, James Renner fused time-travel adventures with serial-killer thrillers, producing what the Huffington Post called “a superbly crazy and imaginative story.” Now, in The Great Forgetting, he blends science fiction and conspiracy thrillers with a touch of pure fantasy, and the result is just as crazy and imaginative. Soon Jack is pulled into the search for Tony, but the only one who seems to know anything is Tony’s last patient as a psychologist, a paranoid boy named Cole. Jack must team up with Cole to follow Tony’s trail—and maybe save the world. Their journey will lead them to Manhattan, then to secret facilities buried under the Catskills, and eventually to a forgotten island in the Pacific—the final destination of Malaysia Airlines Flight 370. 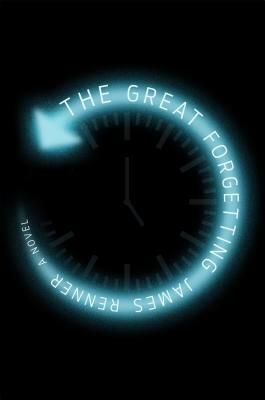 When Jack learns the details about the program known as the Great Forgetting, he’s faced with a timeless question: Is it better to forget our greatest mistakes—or to remember, so that they are never repeated? JAMES RENNER is the author of The Serial Killer's Apprentice and several other works of nonfiction. His true crime stories have appeared in The Best American Crime Writing anthology, as well the Cleveland Scene and Cracked.com. His method of using social media to solve cold cases was the subject of a CNN profile, in 2015. He has also written two novels, The Man from Primrose Lane and The Great Forgetting. He lives in Akron with his wife and children.